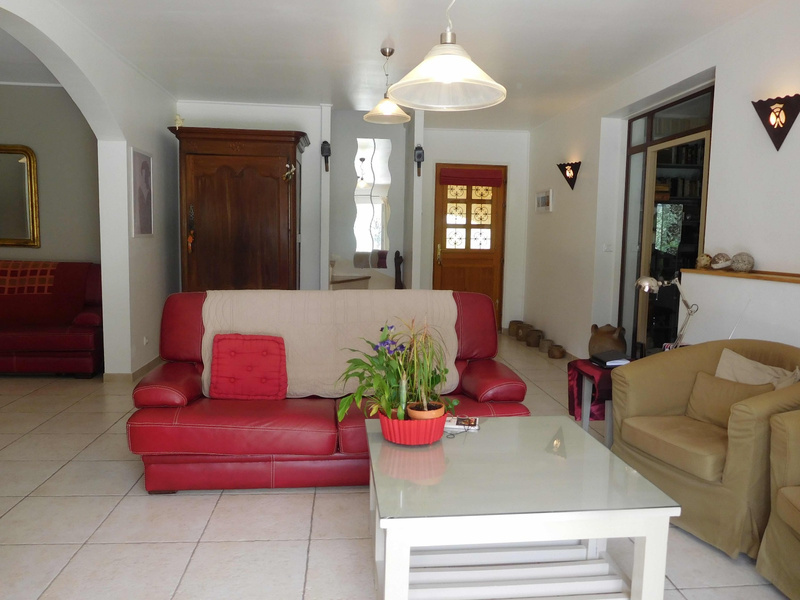 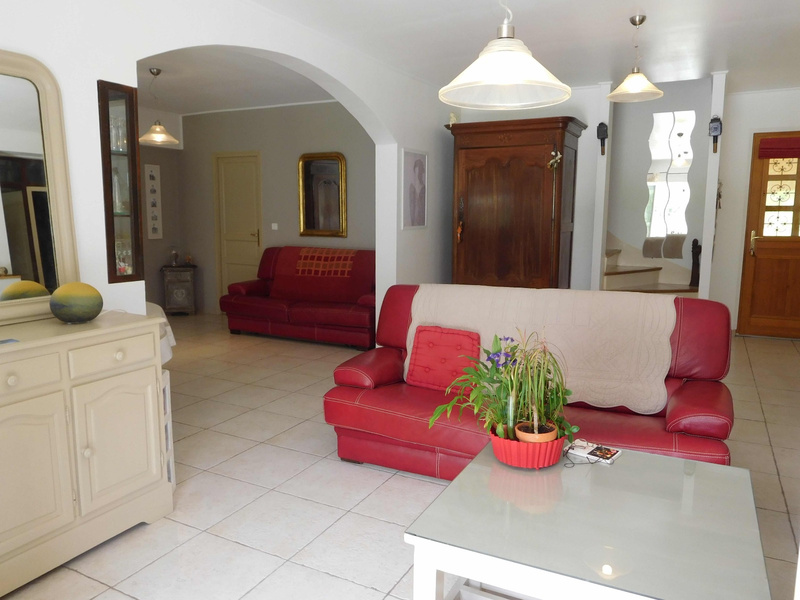 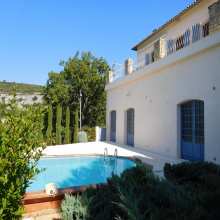 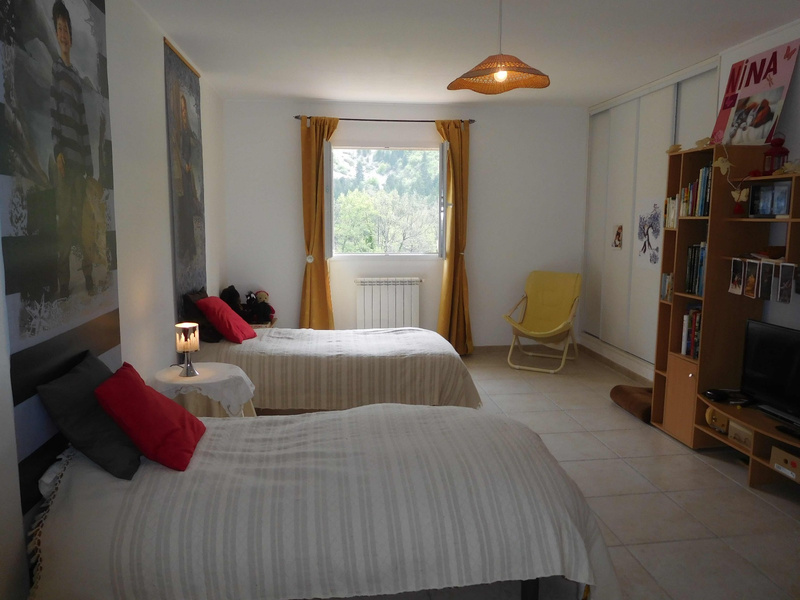 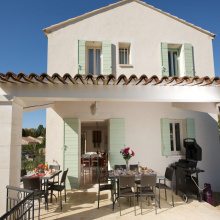 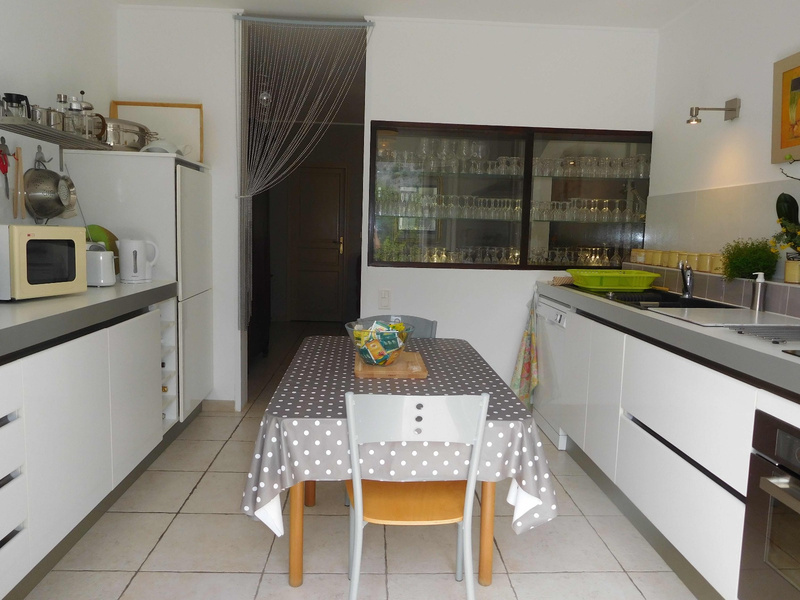 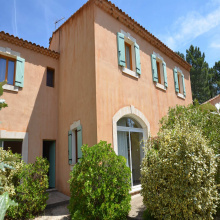 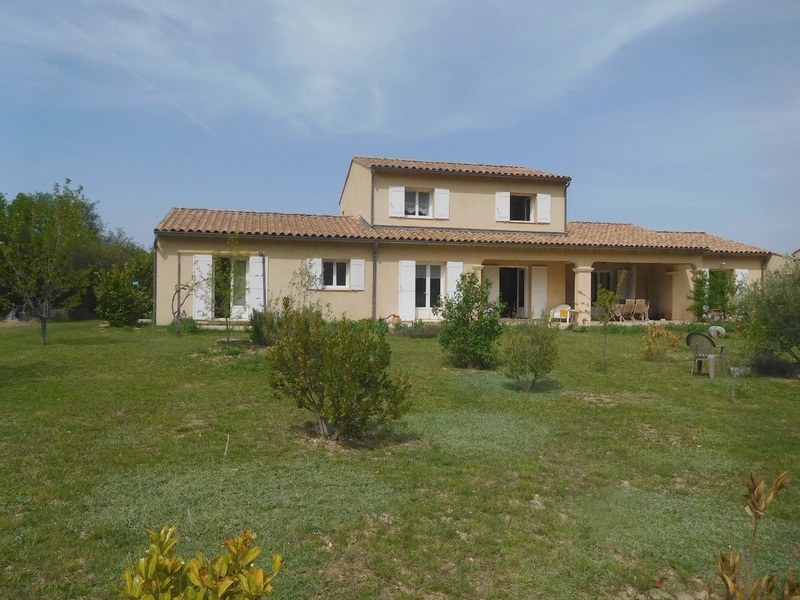 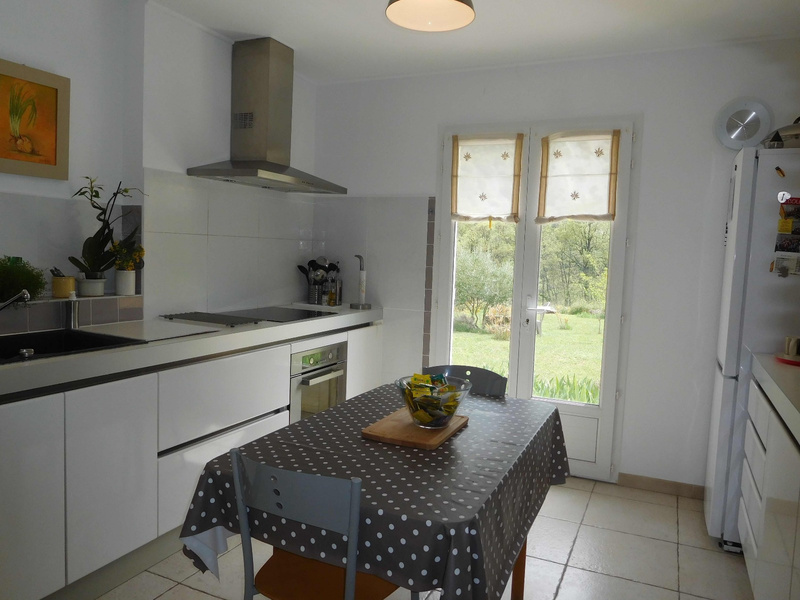 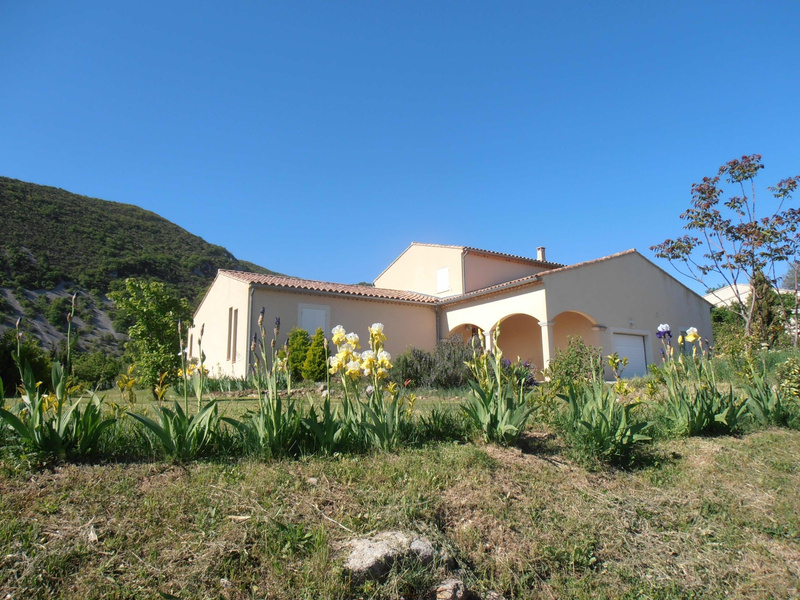 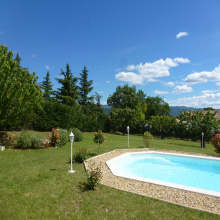 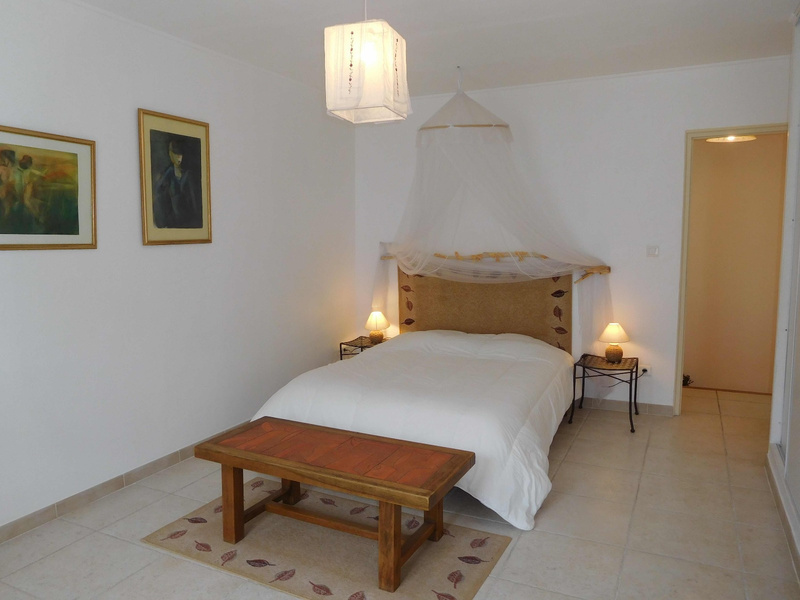 For Sale - Luberon - spacious recent house - 8 rooms - Castellet. 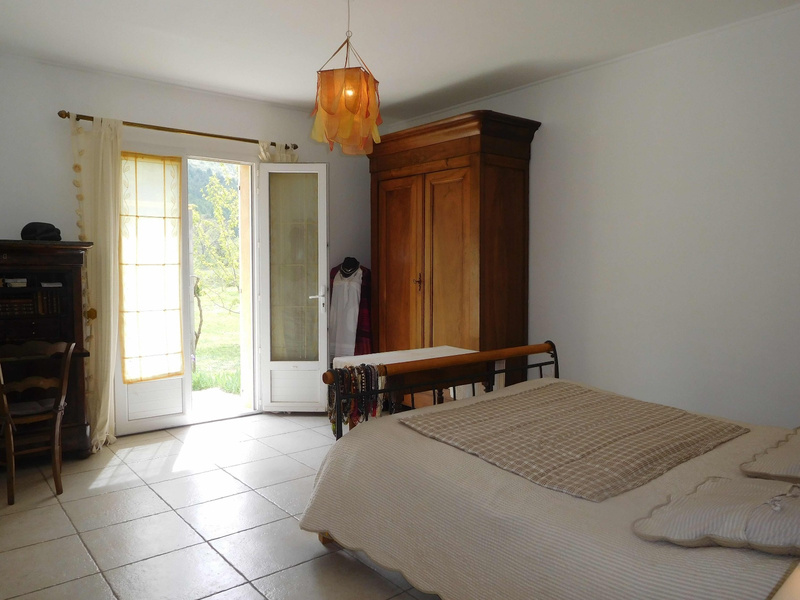 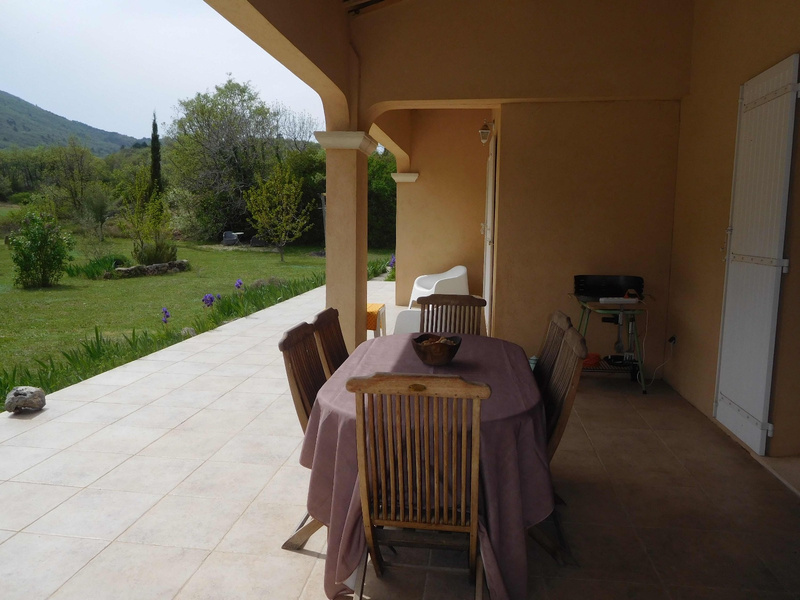 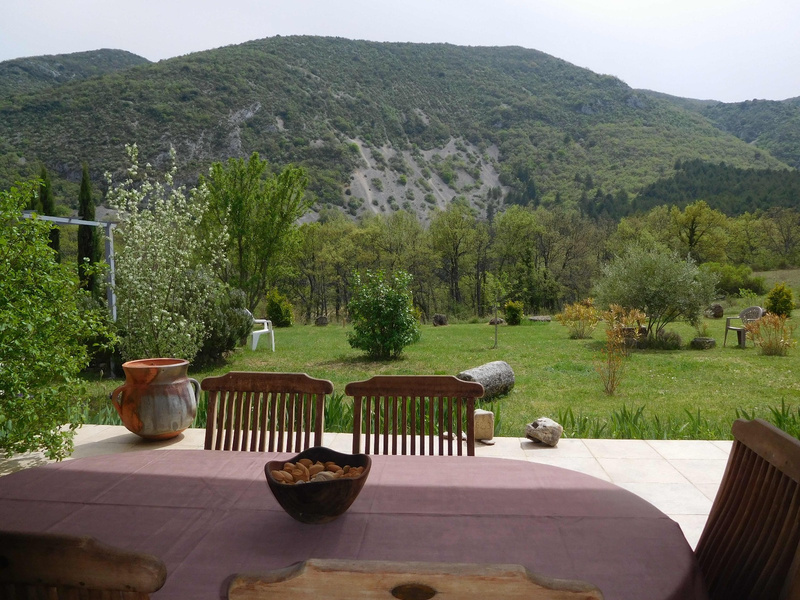 Built in 2005, beautiful house-living space of 251 sq, located on a beautiful flat piece of land with trees of 2066 sq, superb view, at the foot of the Grand Luberon. 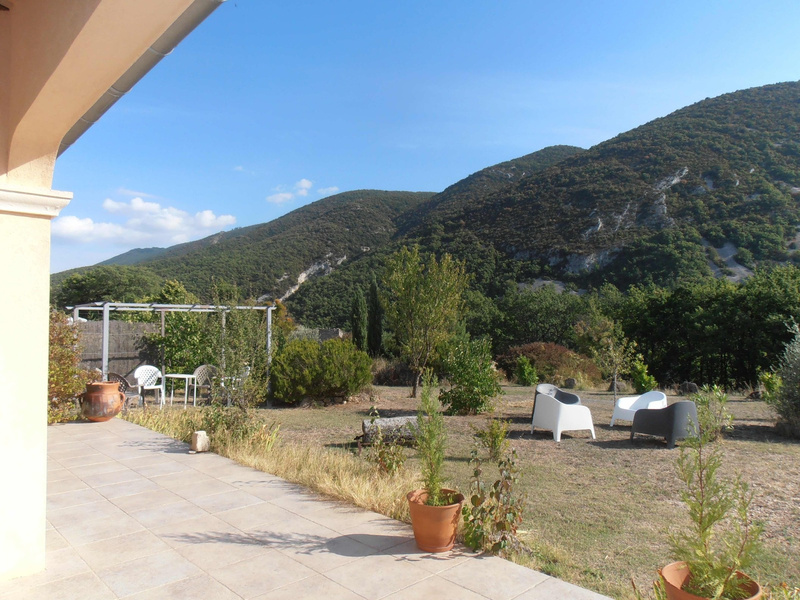 It is composedon the ground floor of: a vast dining room, fully equipped and fitted kitchen, buanderie and cellar, a parental suite with dressing room, bathroom and separate toilet. 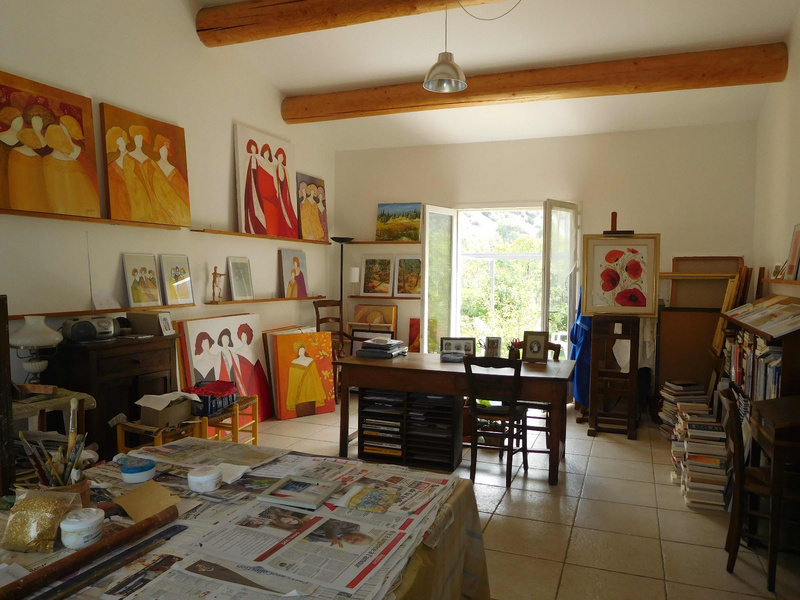 Large library and artist's studio that can be easily transformed into a parental suite or an independent apartment. 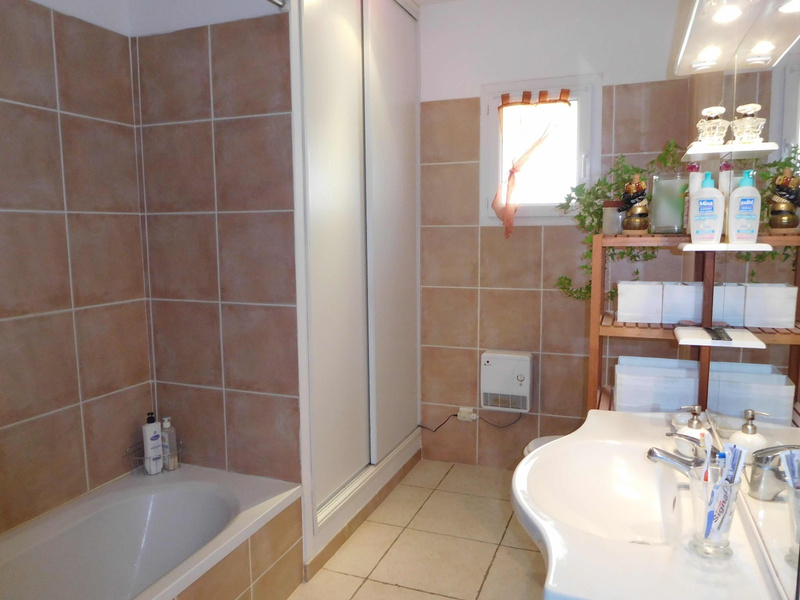 On the 1st floor, 2 big rooms, a shower and a toilet. 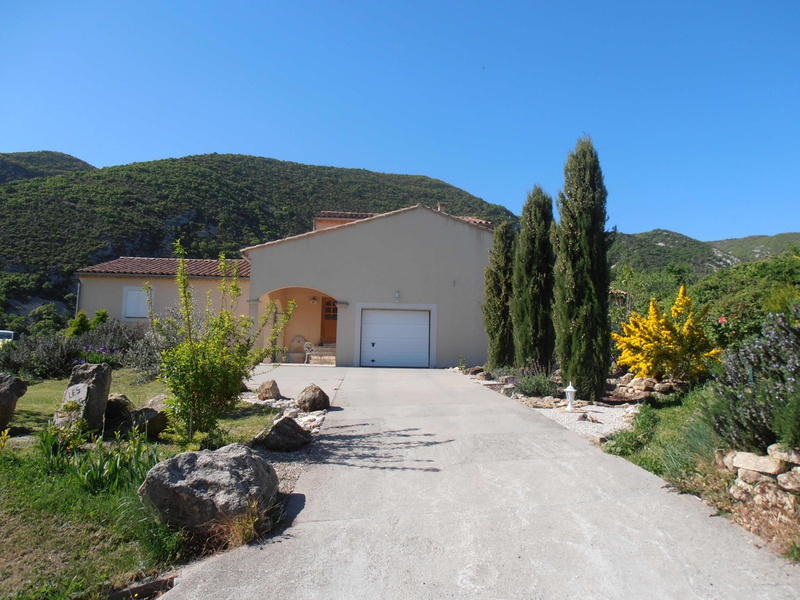 Garage, underfloor heating, plenty of storage, mains drainage.